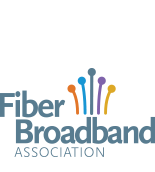 By the end of 2016, there were over 1,000 providers of fiber in North America — from major telecommunications companies to municipalities, private competitive providers, cable companies, electric cooperativess, and wireless providers. Many of these networks serve multiple communities and many others are expanding the networks they started building years earlier, upgrading them to offer gigabit service. In 2012, Google Fiber launched gigabit Internet service in Kansas City, Kan., and Kansas City, Mo. – locations it chose in large part because the city governments were willing to collaborate. In 2013, Google expanded to Austin, Texas, and acquired the municipal FTTH network in Provo, Utah; now it is building out networks in six more cities and negotiating with several others. At the same time, providers large and small have invested in fiber throughout the continent so that by the end of 2016, over 30.4 Million homes will have access to fiber. All this activity has made community members keenly aware of the potential for using ultra-high speed broadband to promote economic development and enhance the quality of life in their communities – and more aware that they need to take proactive roles in getting better broadband for their communities. More municipalities than ever before are exploring the possibility of building their own networks. In addition, they are looking for new ways to encourage private providers to build FTTH networks, new partnership arrangements with telecom providers and new ways to leverage such municipal assets such as conduit, utility poles and existing fiber. This is all great, but how do you sell this to your friends and colleagues? How do you organize your community? It all starts by telling your story. There’s growing evidence that fiber connectivity encourages business to stay, helps businesses grow and become more productive, and attracts new businesses, particularly in high-tech industries. FTTH networks support home-based startup businesses and help works telecommute. It makes a community a more attractive place to live — especially for young people — which can stem the population loss that many small communities experience. If inadequate health care resources hamper economic growth, fiber connections permit local health care providers to call upon specialists in regional health centers. And if unprepared workforce is a hindrance to business expansion, fiber connectivity can enable cost effective distance learning. Start by talking to people you know. Maybe you start by voicing your interest in fiber during a PTA meeting. Or maybe you bring it up at a luncheon with business owners. Maybe it is all the above. But finding like minded individuals is key to building support and finding a champion.